Galaxy Monnet Infraheights Pvt. Ltd. is one of the most rapidly growing real estate companies in India. The company provides a host of real estate verticals. This organization has a definitive presence in and around Delhi NCR with the headquarters of the company being located in Gurgaon. The philosophy of the Galaxy Monnet Infraheights Pvt. Ltd. is to provide its clients with quality residential services through continuous reinventions. This organization has an expertise in developing high quality residential and commercial properties with the latest technological innovations used in the process. The most prominent projects developed by Galaxy Monnet Infraheights Pvt. Ltd. consist of premium residential and commercial projects in areas of Faridabad and Gurgaon. Magnum City Center and Monnet Trade Tower are the prime examples of these developments. Providing a multitude of modern day facilities, these projects are the definition of everything the company strives inculcate in its projects. Each project undertaken by this organization has the mark of integrity, innovation and structural strength. The team of highly skilled and experienced engineers, designers, architects and planners works with the single point focus of providing the best properties within the committed timelines. 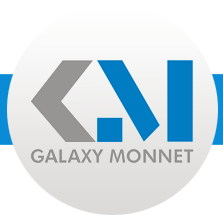 The Galaxy Monnet Infraheights Pvt. Ltd. strives to continually raise the expectations of the clients and meet them every single time.